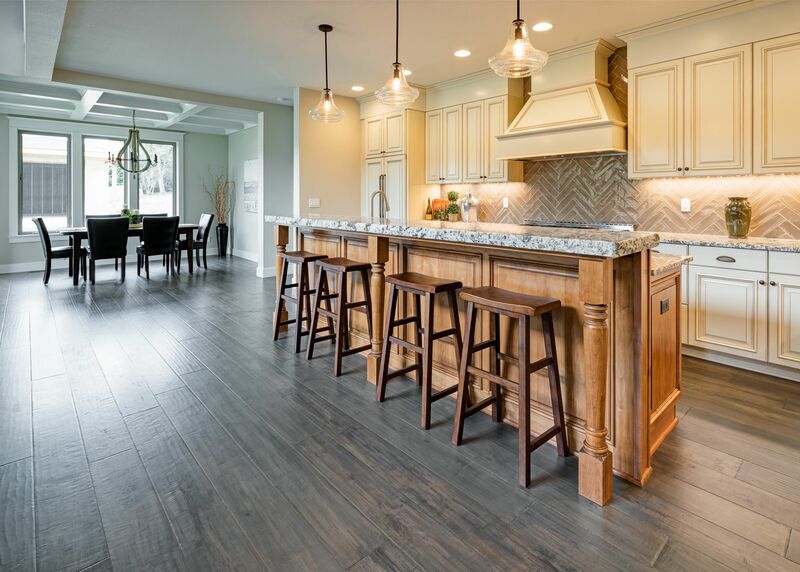 Transitional kitchens are a mixture of old and new trends. Shaker style doors are typical (though this kitchen features our Quaker Raised door). 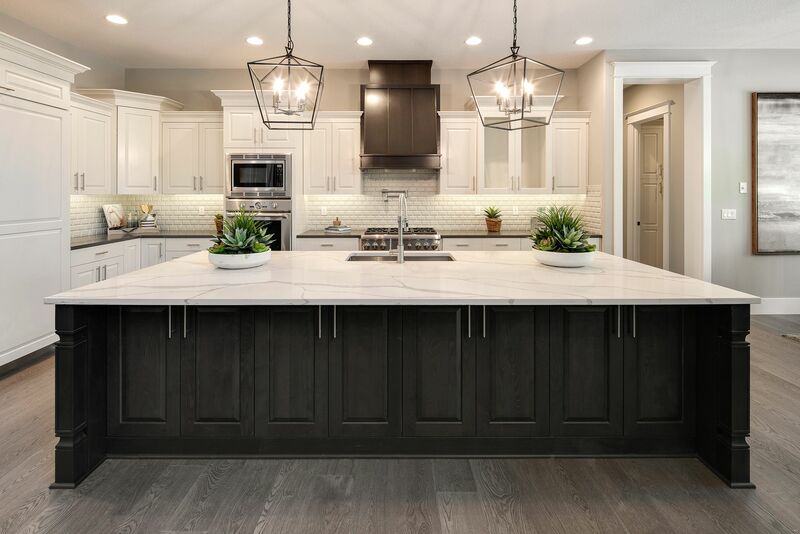 Think white painted cabinets, combined with pendant lighting, quartz counter-tops, subway tile backsplashes - its transitional. Recognizable by its ornate details and raised panel doors, traditional style kitchens never go out of style. Glazed paints and stains add rustic appeal, while corbels, dramatic hoods, and symmetry keep this kitchen reminiscent of Old World design. 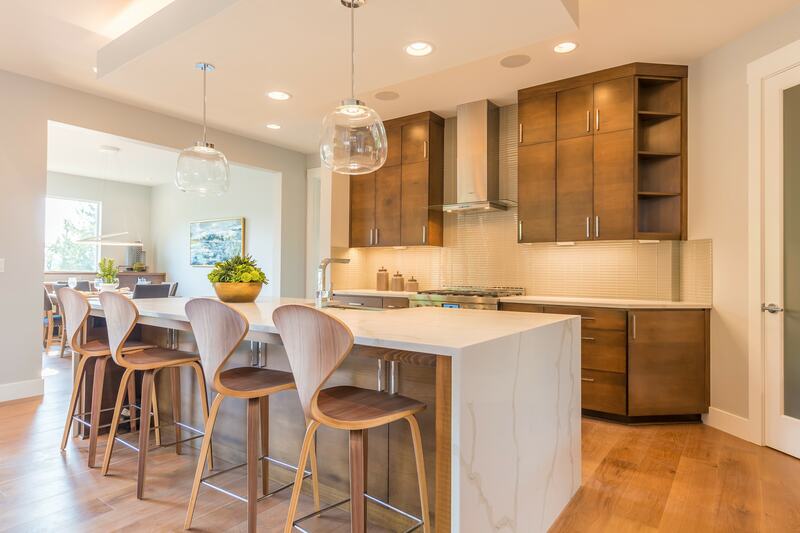 Lending the warmth of natural wood (our Bourbon stain on Alder) to a modern layout featuring sleek appliances and storage solutions is what contemporary kitchen design is about. We do custom sizing up to 1/4". That means less fillers, more usable space, and a more finished appearance. One of our main goals is to lower your risk as a distributor. Because of our industry knowledge, we are prepared to help you meet your goals. Our less-than-market lead times are just one reason builders choose us. Our warranty turn around is quicker too.